Kids today spend much of their time in front of a screen, be it a TV, computer, smartphone, or iPad. Technology has many positive uses and can provide helpful information, but like anything else there needs to be a balance in how much time is spent using electronics. 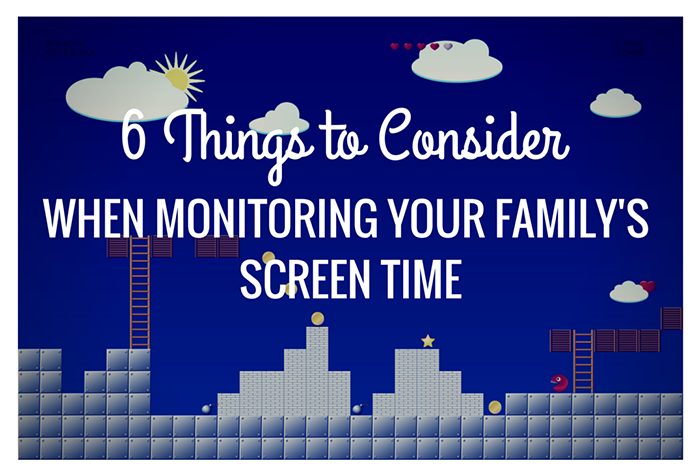 Here are six things to consider when monitoring your family’s screen time. 1. Social Interaction. Personal interactions with others are limited and social and conversational skills are affected. Kids need contact with other kids in order to develop healthy relationships with each other. 2. Physical Health. Too much time sitting promotes poor eating habits and lack of physical exercise. Being too focused on a video game or computer activity interferes with intentional healthy eating. A child is more likely to snack on foods that aren’t nutritious. 3. Learning. Studies have shown that children who spend more than 2 hours a day in front of the TV have a more limited vocabulary, homework problems. and are more at risk for attention deficit disorder. Introduce your kids to alternative forms of entertainment, such as card games, reading, or spending time outdoors. 4. Sleep Problems. Many kids take their phones or computers to bed with them. The hours before bedtime can make the difference between a good night of sleep or interrupted sleep. The lights from these devices trick the brain into thinking its daylight, as well as cause over-stimulation. 5. Behavioral Problems. A recent study published in Pediatrics indicates that children who watch television or play c omputer games for more than two hours a day have a higher risk for psychological problems. This study examined over 1000 children between 10 and 11 years of age (Desmond Lew, 2010) and found that violent movies or video games can contribute to aggressive behaviors and fights with family and friends. 6. Addiction. The habitual use of electronics can not only impede ahealthy lifestyle, but can also become an obsession. Try removing the screens and you might see agitation, restlessness, and a striking change in attitude. A parent has the responsibility of setting limits and monitoring their child’s overall electronic activity. 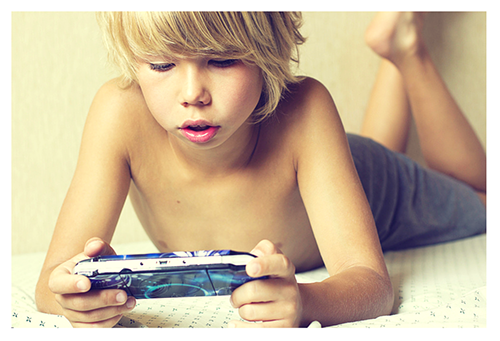 Sit down and discuss with your child how the screens should be used, for how long, and why. Open communication is key to helping your child use their time wisely and in a healthy way.